Chanting this Bija Mantra is said to removes all sorrows and fears. 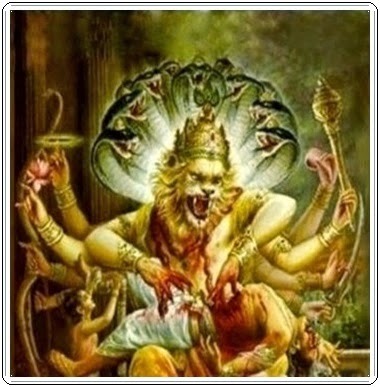 Om let us meditate the half-man and half-lion form of the Lord Narasimha. May this great God with his nails pierce our ignorance and with his fierce sharp tooth destroy the demon of darkness and illuminate our mind and understanding.